Whether Andre Berto was intentionally taking performance enhancing drugs or wasn't, really doesn't matter at this point. Those in the court of public opinion who have reached a decision aren't going to change what they think of Berto any time soon. Perhaps in time, if Berto wins another world championship and reestablishes himself as one of boxing's elite fighters, maybe this ugly chapter in his career will be minimized, if not forgotten. For now, testing positive for steroids is as much a part of his legacy as becoming a two-time welterweight champion. "I've had a hell of a year, going through a lot of trials and tribulations," Berto said recently. "I believe that everything happens for a reason and I've learned a lot about myself and how strong I am to get through what I've been through. I'm in a whole other mind frame and have a whole new motivation." Berto, 29, takes the first step toward rebuilding his reputation tonight when he faces Robert Guerrero for the interim WBC welterweight championship. Their fight is part of a doubleheader to be televised by HBO from the Citizens Business Bank Arena in Ontario, Calif. Junior middleweight Keith Thurman (18-0, 17 KOs) of Clearwater, Fla., battles former welterweight champ Carlos Quintana (29-3, 23 KOs) of Puerto Rico in the other bout. 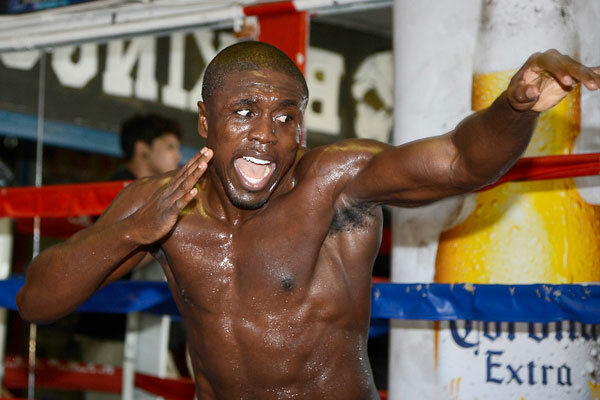 It's Berto's first fight since Sept. 3, 2011, when he retired Jan Zaveck in five rounds. Berto had lost his WBC welterweight title to Victor Ortiz in April 2011, and was looking for revenge in a rematch scheduled for June 23, 2012. But the fight was canceled after Berto tested positive in May for the steroid norandrosterone, also known as nandrolone. At the time, Berto insisted he had no idea why he had tested positive, adding, "I have never cheated, and all of my success has come from hard work and dedication." Berto lives in Winter Haven, Fla., and says a food or nutritional supplement he was taking was likely contaminated, prompting the positive test. "It was a tough situation," he said. "But, me and my team, we really didn't worry too much, because we knew we didn't do anything wrong. It was just the fact of just coming out and proving that. After we did, we hired some real top level scientists and attorneys that really go in take a sample and find out exactly what it was, and we found out exactly what it was. It was a contamination of very, very, very small trace. But we presented all the results to the commission and everything's cleared up and we were able to move forward. "It was just sad that we had to go through all of the bull that we had to go through." Guerrero (30-1-1, 18 KOs) from Gilroy, Calif., initially said he wouldn't fight Berto (28-1, 22 KOs) because of the failed drug test. But despite being touted as a six-time world champion, Guerrero is not well known and needs a major victory to score the kind of mega-matchups he desires. "Everybody's guilty until they're proven innocent and he was proven innocent," Guerrero said. "Like he said, he hired the right people, he took the proper steps and did the right things to get back licensed and we go from there.But I've been in situations with people who've been on steroids and been in the ring with somebody on steroids, so we take real caution against that. Because every time we step in that ring, we're putting our life on the line. And when somebody enhances, they're playing with somebody's life." Berto's positive test contributed to a year marred by several high-profile boxers, who failed pre- or post-fight testing. They include Lamont Peterson, Antonio Tarver, Julio Cesar Chavez Jr. and Erik Morales. "I went through a hell of a storm within this last year," Berto said. "It does put me in perspective with a lot of different things, and I'm right here in the position just to move forward."